Can I file an I-130 even though I am living outside the US? QUESTION: I am a US citizen. I live in Kenya with my husband. Is there any problem with me filing an I-130 for my husband since I live in Kenya? Will this cause any problem with my parents being able to file an I-864 for him? THE IMMIGRATION ANSWER MAN: A US citizen or US permanent resident can file an I-130 Immigrant Petition for Alien Relative even though they are residing abroad when they file. There is no requirement to be residing in the US when filing an I-130. In fact some countries have USCIS offices located within the country which will accept an I-130 to be filed directly with that office where the US citizen is residing in the country. The only issue is that the petitioner must have a US domicile in order to file the I-864 Affidavit of Support. An I-864 must always be filed by an I-130 petitioner in order for the immigrant visa to be issued. This is true even if there is a co-sponsor who will be submitting an I-864 as well. However, it is sufficient for the petitioner to show that they will be returning to the US to reestablish their domicile in the US once the immigrant visa is issued to the beneficiary. Side note: Please note that US permanent residents must continue to maintain the US as their permanent residence or they will risk abandoning their US residence. If you would like assistance with this process, you can schedule a consultation with me by calling 1-800-343-4890 or 901-682-6455. 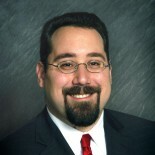 See my full bio at www.visalaw.com/ari.html. I’m a US citizen living in Canada with my partner. I continue to vote in the US, have transferred funds to my US bank accounts, hold a Canadian visa that will expire in 2017, and my parent’s have written an affidavit stating that my partner and I are welcome to live with them if we choose to move to the US. On my I-130, should I put my Canadian address (the one I am currently residing in with my partner), or should I put my US address? Does my address not matter for the I-130, like it does for the I-864? Do I need to worry about evidencing domicile for I-130 at all, or is domicile only something I need to evidence when filing the I-864? It is not required for the petitioner to show domicile in the US for the I-130. Showing domicile in the US is only a requirement for the I-864. Where the petitioner/sponsor is domiciled abroad at the time of filing the I-864, then they must show their intent to travel to the US with the beneficiary, or prior to the beneficiary, and reestablish their domicile in the US. Thank you for such a quick response. :) I know it’s hard to believe that any country in the 21st century would have little to no mail system… crazy stuff. Maybe I can trust DHL to send the papers (without the money) to my mom… thank you Ari. Hi Mr. Sauer, thank you for hosting this blog. I’m at my witts end, trying to get an answer from our consular, it has been unbelievably difficult… I’m a natural born US citizen, but I’ve been living legally in Egypt for the past 4 years with my husband. I’d like to file the i-130 but I’m just not sure how to go about it. I’m not able to file at our embassy here in Cairo, I understand I must mail to the Chicago Lockbox. That’s fine, I planned to have my mom mail the forms and information… but then I read in the i-130 instructions that I can’t send the form with a copy of my signature… well… then I have to mail the original? That’s just absolutely not possible. There is no dependable mail system here… it was bad before the revolution and it’s far worse now. My stuff will never reach the Chicago Lockbox if I try to send it through the mail – the paperwork will end up who knows where, and the money order will somehow be in someone’s pocket well before it gets to the lockbox. What do you suggest? Any ideas for me? I’d appreciate any advice you can offer. Sign the forms then send them to your mom or an attorney to file. This entry was posted on March 21, 2012 by Immigration Lawyer Ari Sauer - The Immigration Answer Man in Uncategorized.